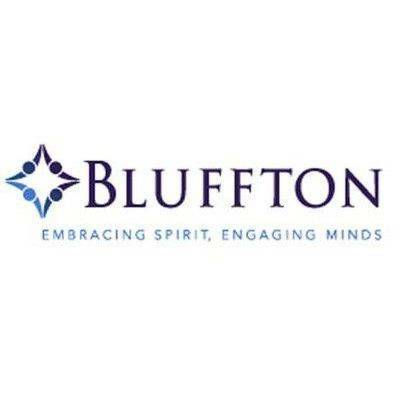 BLUFFTON —Bluffton University has announced the dean’s list for the fall term. Students with a GPA of 3.6 or higher are eligible for the dean’s list. Undergraduate students named to the dean’s list included Bailie Barrington, Waynesfield; Chloe Bechdolt, Lima; Tori Bowen, Lima; Sydney Bowen, Convoy; Alyssa Bowers, Lima; Dylan Burkholder, Lima; Griffin Burwell, Ottawa; Nathan Cellar, Elida; Krystal Cuffy, Lima; Danielle Dancer, Delphos; Gabe Denecker, Bluffton; Olivia DePalma, Lima; Emma Eickholt, Ottoville; Alexander Freed, Elida; Stacey Freed, Elida; Melissa Graham, Bluffton; Luke Gerardot, Convoy; Emitt German, Fort Jennings; Michael Guidera, Lima; Madison Heckman, Ottawa; Nathan Heinze, Bluffton; Adam Knott, Lima; Sam Koenig, Lima; Melissa Lehmkuhl, Spencerville; Alexander Maag, Ottawa; Katie McClure, Convoy; Sydney Mohler, Lima; Megan Moore, Bluffton; Abbie Parkins, Bluffton; Kaycee Rowe, Harrod; Sydney Staton, Bluffton; Nick Taflinger, Lima; Tajah Upshaw, Lima; Olivia Whitaker, Bluffton; Wendy Wolford, Lima. Students with a cumulative GPA of at least 3.75 based on 20 semester hours received dean’s list with distinction for continued high achievement. Undergraduate students named to the dean’s list with distinction include Isaac Andreas, Bluffton; Casey Clark, Lima; Brittany Good, Bluffton; Rose Hayes, Lima; Elizabeth Luersman, Fort Jennings; Blake McGue, Lima; John Parent, Delphos; Makayla Smith, Bluffton; Matt Wannemacher, Bluffton. Bluffton University has announced the dean’s list for the Organizational Management Program (OMP) for the fall term. Students with a GPA of 3.6 or higher are eligible for the dean’s list. OMP students on the dean’s list are Melissa Buddelmeyer, Ottawa; Tyler Fay, Lima; Mark Myers, Columbus Grove; Grant Warner, Bluffton. Students with a cumulative GPA of at least 3.75 based on 20 semester hours received dean’s list with distinction for continued high achievement. OMP students named to the dean’s list with distinction include David Dixon, Columbus Grove; Andrew Goecke, Ottawa; Shirley Gross, Celina; Traci Heinze, Bluffton; Barb Lawrence, Harrod; Mackenzie Turner, Wapakoneta; Adam Wagner, Bluffton.